Why Do You Need To Save Money? There are some people out there that live by the financial motto of, "You can't take it with you, so enjoy it today". To some extent, I agree with that. Yeah, you should enjoy your money while you are still young enough to enjoy it. There is nothing wrong with that. But I also think you should save some of it for later. By saving money, you are building wealth. Emergencies. Unfortunately, we don't have control over everything in our lives. There will be times that your car will break down and need repairs. There will be times when the hot water heater goes out or you have an unexpected illness or lose your job. If you are a homeowner, you can guarantee that something will break at any time. Unlike being a renter, you can't just call up the landlord and have them fix the problem. These things happen and most of the time they require money to fix them. If you have no money set aside to cover the emergency, it could cause additional stress along with the stress of the original problem. If you have no savings to cover the emergency, you could end up going into debt and paying more money. Freedom. Having money set aside in savings gives you freedom. I had the opportunity to take a vacation a few months ago. A few years ago, I would not have been able to go because I didn't have the money. I had the money set aside in my "fun" account and I was able to take my trip without causing any disruption to my regular monthly budget. I did pay for the cost of my trip with my credit card just to get the rewards but I paid the bill the next month with funds from my "fun" account. I didn't have to stress about how I was going to pay for the trip or if I could afford it. Another good thing about having a nice savings account is that you don't have to depend on anyone else to help you out in a pinch. You really find out who your true friends are when it comes time to borrow money! Sinking Funds. We all have those expenses that occur once or twice a year. My auto insurance is due twice a year, my homeowners insurance is due once a year, my auto registration is due once a year. Instead of wrecking my budget in the month that the expense is due, I take the total amount of these expenses and divide by 12. Each month, I save that amount in a separate account. When the due date comes, I pull that amount out of savings and pay it. It makes those large expenses a lot easier to swallow. If you aren't saving money, it's time to get started. It doesn't matter if it is $5, $50 or $500, every amount adds up. I have a sinking fund too but I call it my Irregular fund. I put money into it every month for stuff like insurance and repairs and then use that up as I need to. Saving feels great when you need it because you cannot count on credit cards to get you through the tough times. 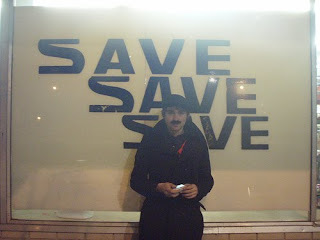 Saving seems to be a lost art in our country. People would rather spend, spend, spend. Good post. I do the sinking fund thing. It works. Did I miss it? How about saving for choice? Specifically the choice to work or not to work.